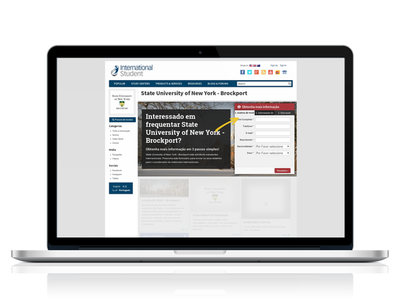 The client needed their existing website to be translated from English to Portuguese to allow Portuguese students to enrol to State University of New York – Brockport. Translated homepage content including forms and menus. A total of 351 words. Proofread the whole website to ensure translated text had the correct context.